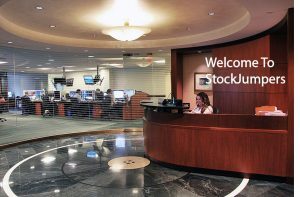 StockJumpers got its start as an experiment 10 years ago. A research and development project- using a little-known proprietary information collection technology that had never before been applied as a trajectory analysis tool on a financial target. Thousands of hours of testing running hundreds of variation models and studies, and the team landed on a formula that accurately predicted an outcome the majority of the time., That combined with technical and objective analysis along with a dose of common sense was all we needed to begin our beta test group focused on catalyst trading events (mostly stocks reporting earnings), which we ran for 14 months before opening the project to real world trading. Its all about knowing the outcome BEFORE you push the button. We provide the ultimate information edge to our members. Our mission is simple. To provide our members with the most advanced information tools that can be leveraged to profit in trading today’s markets (stocks, futures, forex). What we do is the next best thing to having insider knowledge. And what makes it much better is – its 100% legal.